After realizing her coworkers at L’Ombre, a high-profile restaurant in NYC, will never appreciate or respect her, Charlie Garrett allows her ex-boyfriend, Avery Michaels, to convince her to work for him as executive pastry chef at his new Seattle hotspot, Thrill. She’ll have her own kitchen, her own staffeverything she ever wanted professionally. When she arrives at Thrill, however, she realizes that Avery wanted more than a pastry chef for his restauranthe wanted a costar for the reality show they’re filming about the restaurant and its staff. Charlie is uncomfortable with the idea at first, but she soon realizes that this is her chance to show the world what women in the kitchen are capable of. She sets some ground rules with the film crew, signs a non-disclosure agreement, and promptly meets the man of her dreams, Kai, off-camera. 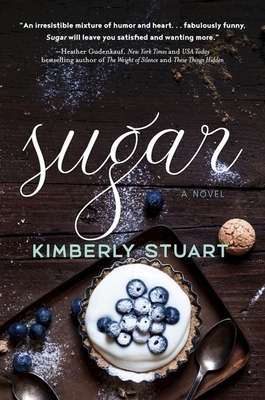 Kimberly Stuart has always treasured a good story and a good laugh. Her trademark sense of humor and love of storytelling shine through her novels such as Operation Bonnet and Stretch Marks. When she’s not engrossed in the charming chaos of motherhood, Stuart writes stories that are intended to make readers laugh often and cry oncemaybe twice. When not concocting gripping author biographies, Kimberly resides in Des Moines, Iowa, with her fantastic husband and their three wily children.